Today, I am going to give you my first review of straw bale gardening. We are one month into a series on straw bale gardening. We are following Joel Karsten’s book Straw Bale Gardening. We are trying our very first straw bale garden and letting you know how it goes. If I had to sum up the garden in one word, it would be “awesome.” Awesome because I really like it, and because I can’t believe how big the plants are getting so quickly. While this post was published in early July, the pictures and video were taken around June 20th, 4-5 weeks after planting and seeding the garden. Weeds – It’s amazing how little weeding I have done. This has been a huge plus of the straw bale garden. Last year, the weeds overtook my garden and I just couldn’t keep up. Watering – The watering has been extremely easy. Once the system is set up, it just takes care of itself. I haven’t touched a hose in weeks. 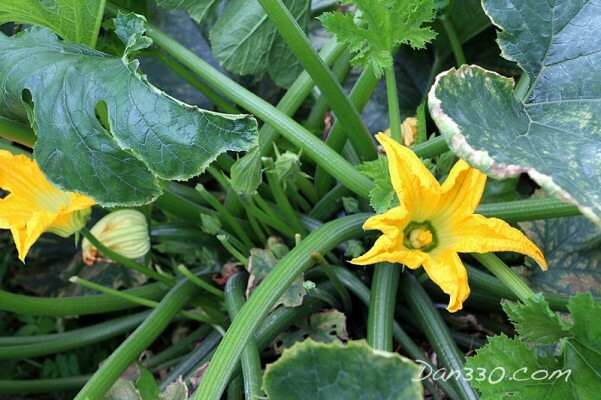 Squash and Vines – All of the vine plants are doing very well. 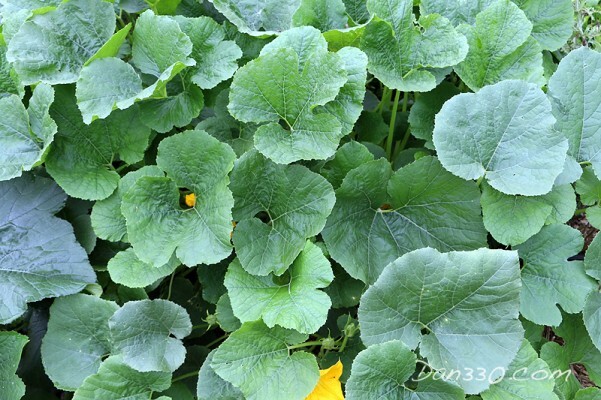 As you can see in the video, there are already pumpkin flowers. I have never ever seen them this early in the year. The squash, zucchini, cucumbers, and watermelon are all extremely healthy. I have no bugs, no rot, and very large, healthy plants. 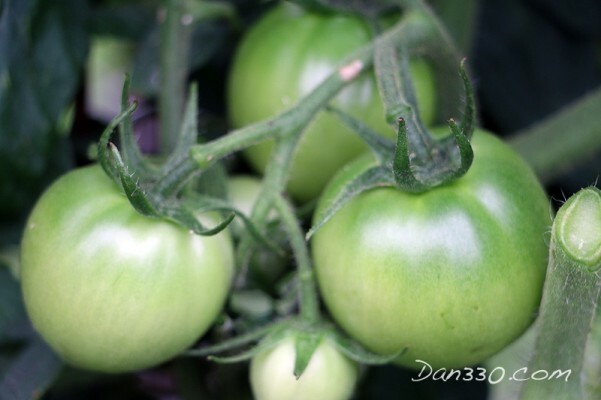 Tomatoes – These are hands down, the best tomatoes I have ever grown. They are training up my trellises very nicely. I already have dozens and dozens of green tomatoes. Can’t wait to start eating them. Beans and lettuce – The beans and lettuce are doing fine. They are all healthy and growing. I don’t know that they are doing better than they would in soil, but nothing to complain about here. 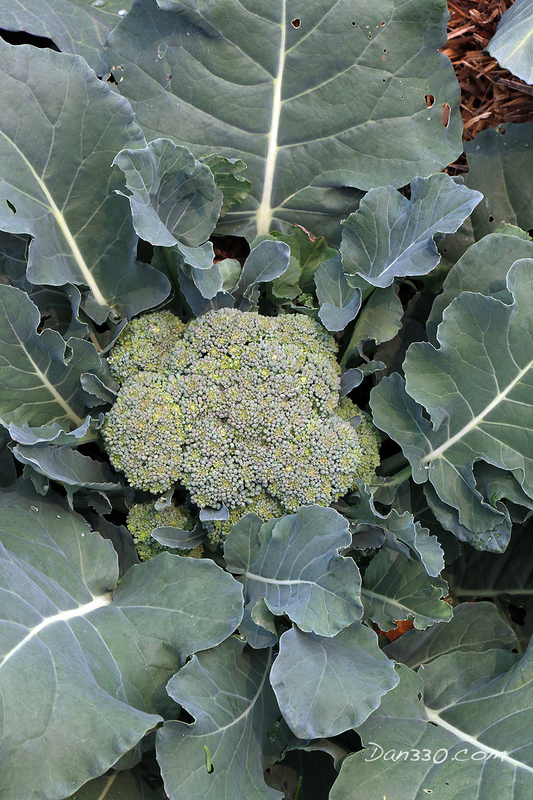 Broccoli and Cabbage – These are also doing very well. I am about to start harvesting the first round of broccoli from the plants now. Herbs – All of my herbs are healthy. The only one that is not doing well is the cilantro. But that is because it is summer and it never does well here because of the temperature. Watch the video below and I show you some of the garden while giving you my first impression of the straw bale garden. Hi, this is Chris from LiveDan330.com we are continuing our series on straw bale gardening. I wanted to share a little bit of my first thoughts. We planted this garden about a month ago. We are between week four and week five and it is … its growing like crazy. The tomatoes that we have are probably some of the best tomatoes I have ever grown. The vines … anything that is a vine is doing incredibly well. You can see a great big pumpkin over there a couple cucumber plants those are doing great. We’ve got a broccoli. We already have heads of broccoli. I’ve never had it this early in the year. Our cabbages are looking great. Um, this is a watermelon vine. This is the smallest vine that we’ve got and it looks very healthy. This is brussels sprouts they are doing very well. We have acorn squash, another zucchini, but this is the amazing thing about what is working. Let me show you this over here. This pumpkin plant is already producing flowers. In fact, this is going to be a pumpkin here very shortly. You can see this is middle to late June. It is about June 20th. We’ve already got pumpkin flowers. Um, on the other side, I don’t know that doing the straw bales was ah, has been as good for the lettuces and the beans. Um, I don’t know … I mean there is nothing wrong with them, I just don’t see a huge advantage of. I mean these plants have done so well, I’ve been very impressed with it. The lettuces … I think what I will do is split this next year and do about 2/3 of the garden straw bale garden and just direct sow some of the other stuff right into the ground so I think the snap peas, and lettuces, and those kind of things are going to go right into the ground but everything else … I’ve been very very happy with this. Follow this series for more on straw bale gardening and we will have more reviews to come.